Reading this line, one of my favorites from the modern mystic Frank Laubach, turns my mind back to some of the many wonderful hours I've experienced going about our world. 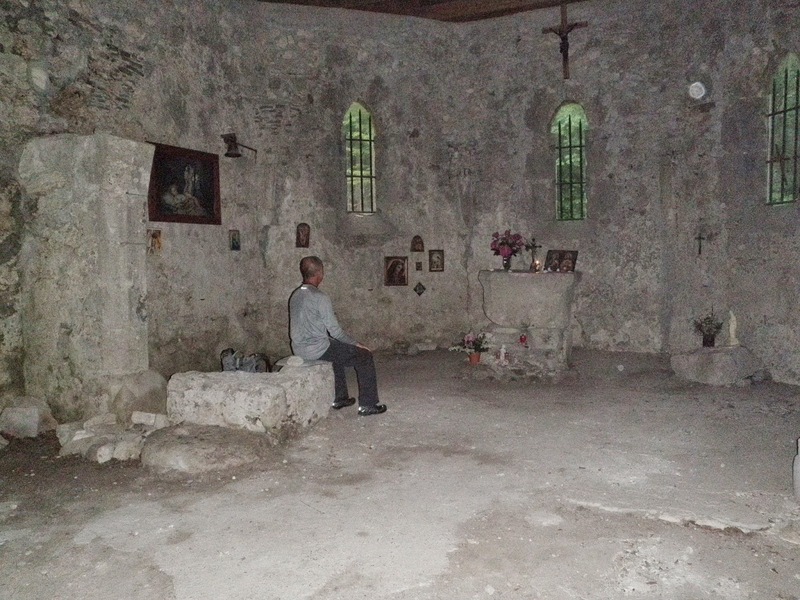 I think about the old, abandoned stone chapel I stumbled upon as I prayerwalked the Walk of Peace trail in the Slovenian Alps. The wonderful hours I had there among the crumbling stones simply meditating on God's love for me, all of my fellow humans, and all of his creation. As the daylight dwindled I knew I had to move on but I longed to stay in this special place where the veil between heaven and earth seemed so thin, this place where God made his presence so real. And, in fact, that wonderful hour did not end as the approaching darkness forced me from the sanctuary. The experience, that very real felt presence of God, lives on as I return to that chapel in my memory this morning. I pray once again that all of the Slovenian people will know the God who loves them and longs to share wonderful hours with them.